I'm considering doing a short series on "Twists and Length Retention". Twists, while not for everyone, have helped me achieve hair goals I never thought I would. If you are interested in learning more, leave a question/comment below in the comments section. Thank you! Ooooh Loo I'd love to hear about your twisting regimen. After I secure my new job I'm planning on twisting for most of the winter. How many twists do you make? How large do you make them? Do you do any daily/weekly/monthly maintenance? Would love to know maintenance also.. I would love to hear about it. I love technique posts. I would love to know more. I have short hair (about 4 to 5inches) and whenever I twist my hair it twists up on itself so they look like they're sticking out all over my head. How do I get them to all lie straight down? 1. Is it more important to not touch the hair in the twists for say a week minimum or to keep it in a style that will retain moisture and protect the ends? I ask this since the front of my hair especially gets extremely fuzzy after 2 to 3 days of fresh twists! 2. 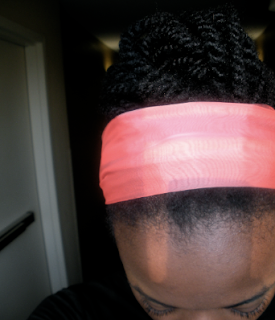 Did you experience alot of matting and knotting when leaving the twists in for even short periods of time? 3. I noticed some ppl do twists for say a week then use the twist out on the weekend...does this act as being counter - productive? Hi, I wanted to know one more thing, when you put in your shea butter mixture can you indicate how much exactly you put, because I find that when I do my hair I can't lean up on anything afterwards...lol Should it be a dime sized amount or should I not worry about the oil slick! Thanks for all the questions, ladies!! I will address them in the coming weeks.